Yesterday afternoon, Brown came rumbling in and delivered the “first pages” of my upcoming book from That Patchwork Place. This was right on schedule so, unlike last time, no new gray hairs were added to my head! First pages are like galley proofs, where the author gets to see the book laid out for the first time (instead of the words being separate from the illustrations being separate from the photos). It’s quite an exciting and nervous time for an author. Just as before, the tyvek envelope and its super gumglue defeated me, and I called the DH for scissors. Finally into the package, I took out the contents and glimpsed the cover. O frabjous day! Callooh! Callay!” It is sooooooo beautiful. 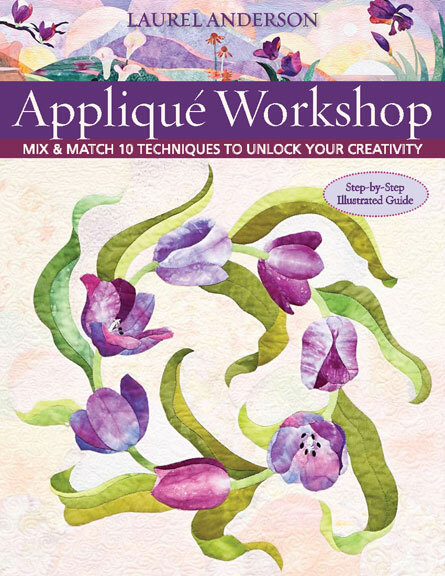 White with colorful blocks and a lovely typeface for the title. And that title is now official! 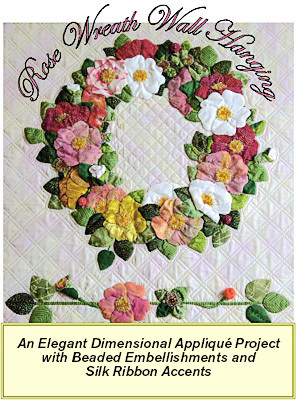 I’m pleased to announce that Inspired by Tradition: 50 Appliqué Blocks in 5 Sizes is due out in March 2011! 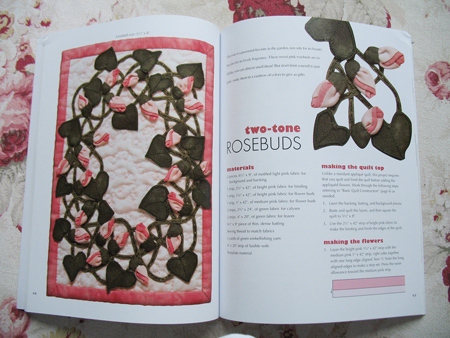 It’ll have the CD with it just like Easy Appliqué Blocks, so you can print the patterns in the size you want. As soon as I get the go-ahead from the publisher, I’ll show you the cover! I couldn’t be more pleased with the name. As you may know, in traditional publishing the author does not have decision power over the title and things like that. I’m so happy — this was one of my first choices. It describes perfectly the intent of the blocks. Not necessarily exact renditions of traditional appliqué blocks, nevertheless they’re all inspired by that vintage look and feel. Now I have to settle back to earth, find a good editing pen, and get to work. 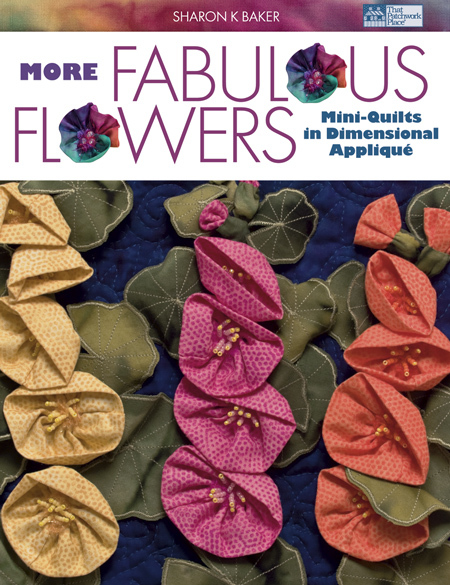 The winner of More Fabulous Flowers was Lynn D. in N.C. Congratulations! 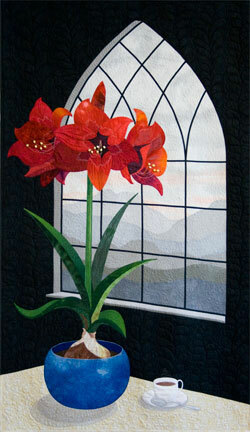 The SewCalGal is holding a Pets on Quilts show! 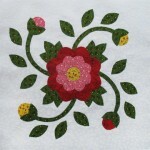 Everything’s pet-related, from the quilts in the show to the prizes donated by the sponsors. Of course I’m a sponsor, being such a dog person as I am. 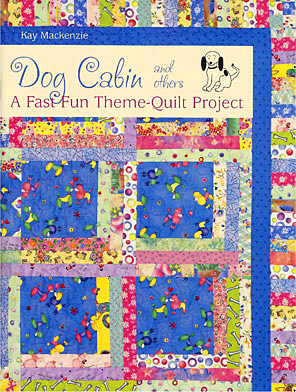 I put up copies of my first book, Dog Cabin and Others: A Fast Fun Theme-Quilt Project, which has poodles on the cover. But back to the topic at hand. 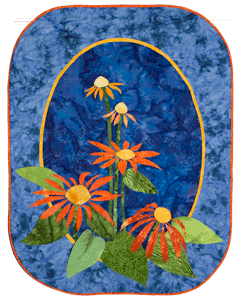 The Pets on Quilts show runs through August 21 and you can enter now! Be sure to read the rules of the show… if you have a blog you can enter that way, if you don’t have a blog you can still enter your pet-on-quilt. Or, you can simply enjoy all the entries in the show!